This area of imaging something with many different light positions was pioneered by Tom Malzbender while he worked at HP labs. PTM is "Polynomial Texture Mapping" refers to the technique of using all the images taken in order to make a virtual image for any light source direction (it is easier to look at an example to understand this). 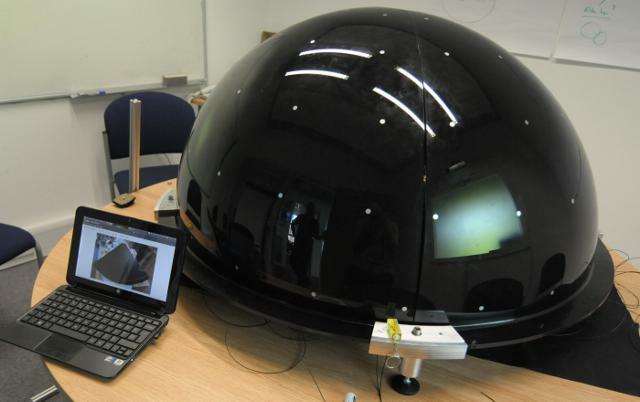 January 2012 saw the completion of Dome3 and in 2014 the Louvre's own Dome4 - see details of its deployment in the Louvre Museum in Paris. 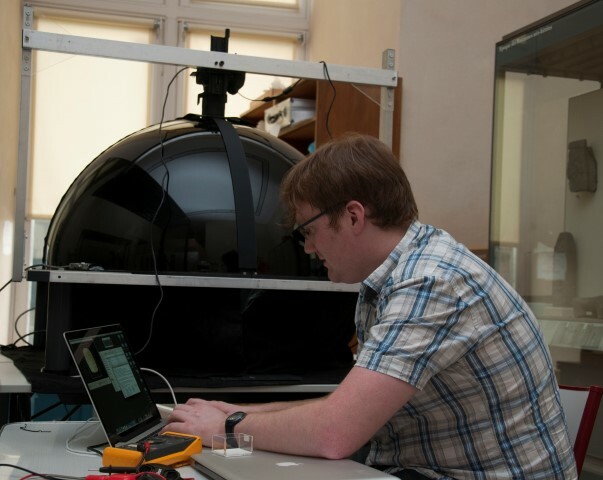 In the AHRC-funded RTI imaging project with Oxford, the Ashmolean and Archaeology we developed RTI Dome for higher resolution and faster PTM imaging of ancient artefacts. Our imaging systems use around 80 very bright Leds and a Nikon D3x or D800 cameras. Building these structures is quite complex and they are not very portable - I worked with Graeme Earl from our Archaeology dept. to investigate a more portable unit for their digs I was interested to see what could be done on battery power, with powerful white LEDs and a moving structure. We designed a moving-arm system which was small and could be battery-powered. This National Gallery London prototype made by Joseph Padfield has a nice demonstration of images of paintings. C-H-I are RTI experts in the USA and run training sessions as well as supporting software development.